Jennifer Lopez took to the stage with rapper Pitbull to perform at the World Cup opening ceremony last week. The official World Cup theme has divided opinion thanks to its controversy over lyrics, artists and general poor taste. If you plan on playing a song while pulling cross-fades, scratches, etc., from another then you definitely need simultaneous turntables. 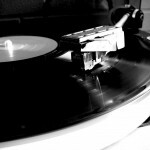 You will also need to avoid using a belt-driven turntable as the record can’t be scratched or paused when it’s spinning. 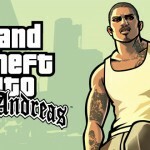 As video games have grown from the pastime of teenage boys in their bedrooms to multi-million dollar titles that rival blockbuster movies in their scope, the music in games has evolved. 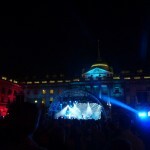 The Summer Series at Somerset House, in partnership with American Express, offers a truly eclectic programme of contemporary music to owners of Amex credit cards and the general public, showcasing up-and-coming performers alongside more established artists. It’s no wonder that those people that are constantly on the go have so much love for their tablets. Their ability to do everything from streaming TV shows to checking the weather is a godsend. Today, though, is all about music. 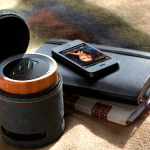 We’re going to take a look at what we think are the best portable and Bluetooth speakers. Whether they’re used for a garden party or a summer festival, these babies will keep the tunes going all night long.